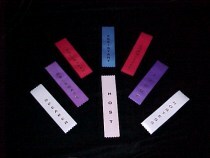 team's colors and team member names. 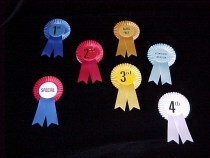 Rosette ribbons First Place through Fourth Place are always in stock! 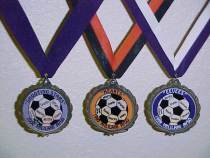 Also available are: Grand Prize, Honorable Mention, and Special. 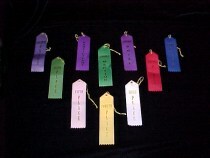 First Place through Seventh Place ribbons are always in stock! 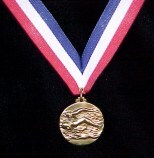 Also available are: Grand Prize, Honorable Mention, and Participant.